Estate planning involves going one step beyond simply talking about the issues or thinking about how you might want your estate to be handled in the future. Planning and organization are the cornerstones of a successful estate plan and it’s very valuable to sit down with an outside party who can help to ensure that your plans accurately reflect what you intend. 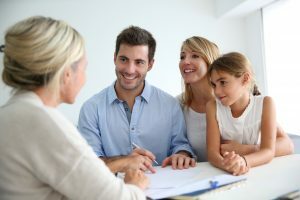 Many people have a common goal of wanting to make their estate as easily managed as possible because they don’t want their children and other loved ones to have any difficulties after they pass away. Therefore, wrapping up affairs with as few problems or conflicts is a common goal for most people. The first thing to do is to have a plan and to have clear storage locations designated for each of these materials. Hiring an attorney may seem overwhelming or like it can be easily skipped, however, there are far too many pitfalls in the process of estate planning that could cause you numerous problems and leave your loved ones paying the price in the form of a disorganized estate. It’s much better to sit down and walk through one document at a time to verify that your documents reflect what you actually intend that they will be viewed as valid by the state.